Guess what? 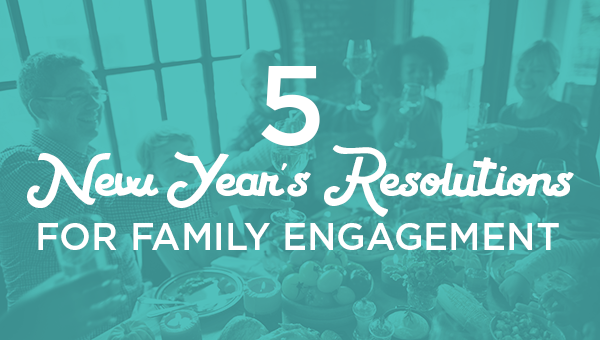 January is the perfect time to do at least one thing to improve your family engagement. We know from Dr. Karen Mapp’s research that students who have engaged families have better attendance, graduate on time, have better social and emotional skills, and go on to post-secondary education opportunities. How do parents who are not engaged or connected, parents who didn’t have engaged parents themselves, parents who do not listen to the news know what is important for their child? Where or how do they learn? It is becoming increasingly clear that schools need to step up and offer opportunities for caregivers to learn. Here are 5 easy ideas that will enhance family engagement. Create a personal learning series. Rub a Dub Counting is a great video to send home in a message to parents! In your customized email, include how important it is to wash hands in the cold and flu season. Pull together a series of videos in a playlist format to give parents lots of ideas for how to start the new year on the right foot. Forgot how to create a playlist? Go to How Do I Create a Customized Playlist? Commit to making 2-3 positive phone calls home (not notes) every day. By the end of the 2 weeks you probably will have contacted each of your families! Every student has something positive to address. It might be as simple as the student put forth more effort on that day than previous days. Or maybe the child cooperated with another student. It doesn’t have to be an academic positive. A survey done in 2015 of over 3,000 public school parents found that 59% of those parents never heard from their child’s teacher. Before the next P.T.A. meeting or other upcoming gathering, choose a section from one of the Family Workshops to present. While the workshops are meant to be an hour, they are designed in sections that can easily be broken out. Building and Maintaining Positive Relationships is only 10 minutes long! Show one of the expert videos, such as Chip Donahue’s video on Modeling Media Use at Home, during the next round of conferences. You could even play it in the area caregivers wait ahead of time. Ask your families to watch the video Write About a Family Tradition, and then have your students write or draw a tradition they did over the holiday. This can be a home learning assignment that is brought in for a grade. Bonus resolution! Before the next round of conferences think about each of your families. What is a strength they bring to the table? Share it during the conference. Even the irate parent has a strength. All parents can get passionate about their children!